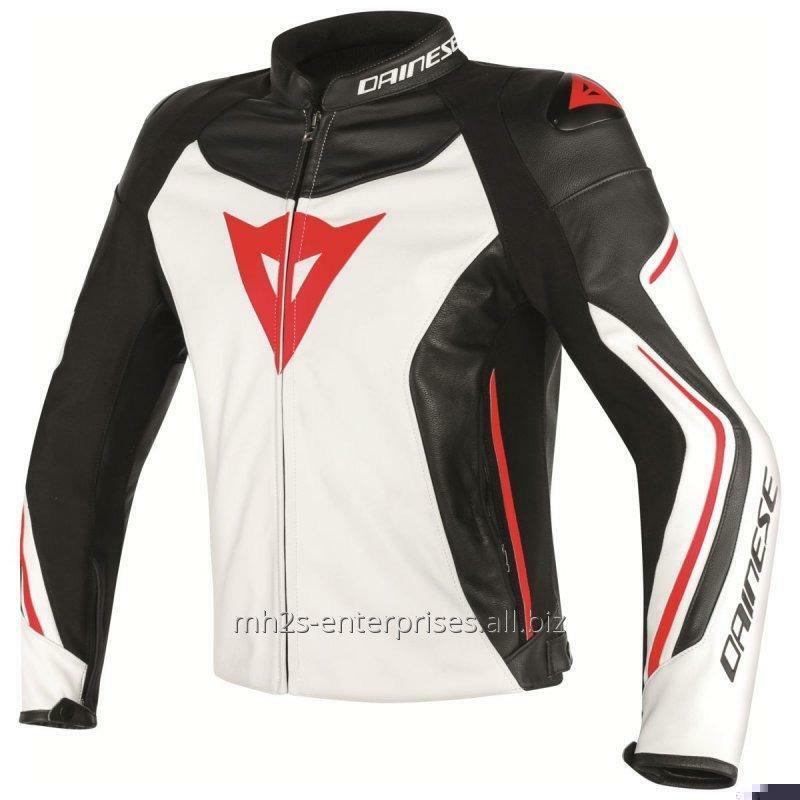 racing suit is especially designed for professional bikers to fulfill their biking passion on track with great safety. 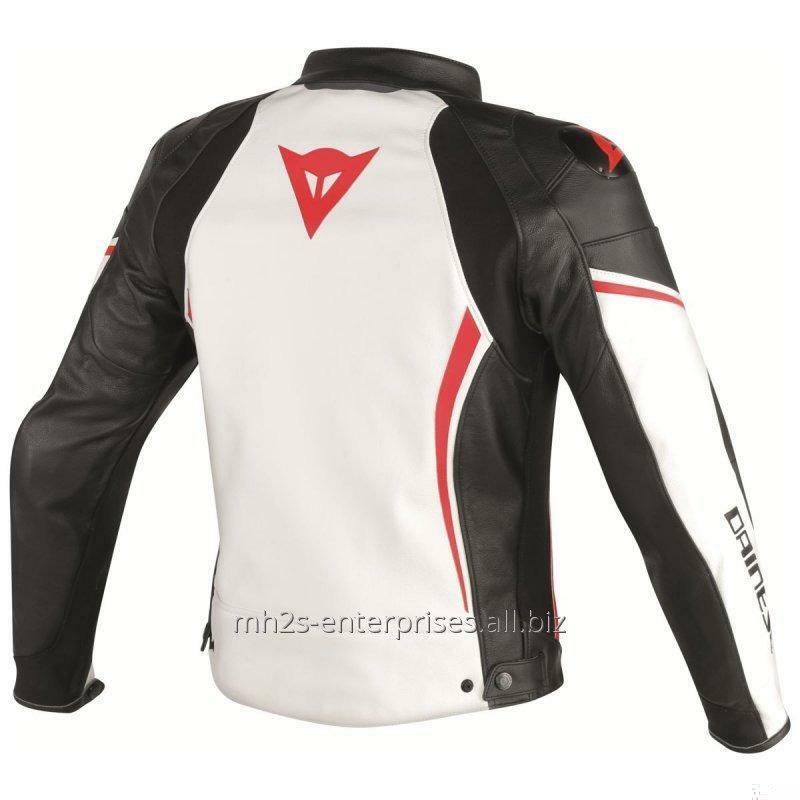 This Jacket features excellent design & comfort, 100% genuine Cowhide leather, approved internal & external Protectors. > Triple seam (Stitches) which will never be worn or open the Jacket. > 100% Original High Quality 1.3mm Leather Skin CE approved armors. > Crashes prove (on and off the track). > You may use same Jacket for 4 to 5 crashes. > Jacket might look bad after crash but will never lose the shape or tear apart. > Schoeller-Keprotec® is optional for stretch material. > Designing Facility Available for Men or Women in Tailor Made Custom Size. > Desired Design is available in 1 piece Jacket OR 2 piece Jacket. > Embroidered Logos of any design desired. > Outer Knee Sliders with Velcro removable. > Additional Rubber padding for safety on critical parts. > Pre-Curved Sleeves for Proper riding Position. > Safety Seems Dual Stitch. > Removable dual density armor at knees, shoulders, and elbows. > Removable dual density spine protector. Please carefully choose your size according to the size chart. In order to make every effort to ensure that your experience on the MH2S is secure, we use encryption technology to protect you against the loss, misuse or alteration of your personal information. When you fill out any contact forms or access your account, a secure server encrypts all of your information. Your Personal information is 100% secured with MH2S Enterprises. Please let us know if you might have any question to choice right size for you, discuss new design or any idea to share with us. You can easily reach to us via Live Chat / E-Mail.